Odisha is one of the major tourist destinations favored by almost all travelers. The place is known for temples, beaches, waterfalls, rivers, and tribal people. Temples of Bhubaneswar and Puri are the major attractions of the place. We, Swosti Travels, provide you Odisha tourism packages that cover almost all the best tourists’ attractions of the state. In our Odisha package, we offer a selection of tours like Rural Tourism Of Odisha, Textile Tour of Odisha, Buddha in Odisha, Odisha Royal Heritage Tour, Nature & Bird Lovers To Odisha, Essence of Odisha, Dance Festival in Odisha, Cultural Tour To Odisha, Bird Lovers Tour To Odisha, Trigonic Odisha With Lake & Beaches, Special Wildlife Tour, Orissa Tribes With Arraku Valley, and much more. Each of our tour packages has its own itinerary and you can select the one as per your own choice. For price, drop us a request and we will contact you at the earliest. The Konark Sun sanctuary is another fascination which certainly needs a visit by the travelers. Outlined as the chariot for Sun God Surya, this Sun sanctuary has extraordinary engineering and suggestive carvings like Khajuraho sanctuaries. The most lively time to visit the region is amid the Konark celebration of music and move. Visit Puri for Rath Yatra celebration consistently which happens in July/August. This is the main event where individuals are permitted to see gods in the sanctuary. A unimportant impression or even the touch of the chariot conveying the parade is viewed as extremely favorable. Odisha isn't just about religion. You can likewise discover lovely crafted works here. The two towns amongst Puri and Bhubhneshwar are popular for their crafted works. In these towns the craftsmans are neighborhood villagers. one can cooperate with the villagers, have a look at their customs, way of life and purchase the nearby carefully assembled makes. Invest energy in nature by going to Chilka Lake. This is Asia's biggest lake which is a blend of ocean and crisp water. It is brimming with transient flying creatures and various fish assortments live here. 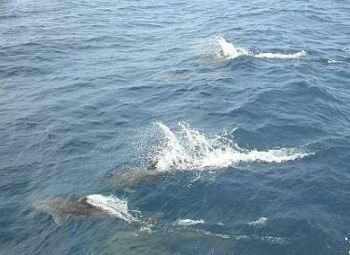 Here, if sufficiently fortunate you can likewise spot dolphins. There are different outdoors trips and bird watching trips around chilka lake, which you can book as a piece of your Odisha travel bundle. 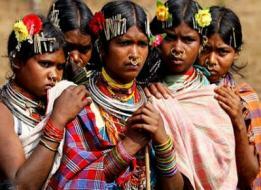 The most intriguing background In Odisha could be to visit the Tribal regions, this must be done through Government affirmed visit administrators who practice just in bundle visits to innate zones of Odisha. Visit inborn territories to comprehend their neighborhood culture and way of life which is in place finished the previous hundreds of years. Odisha Tour Packages.